…no other single educational curriculum comes close to the Montessori curriculum in terms of its levels of depth, breadth, and interrelationship across time and topic. 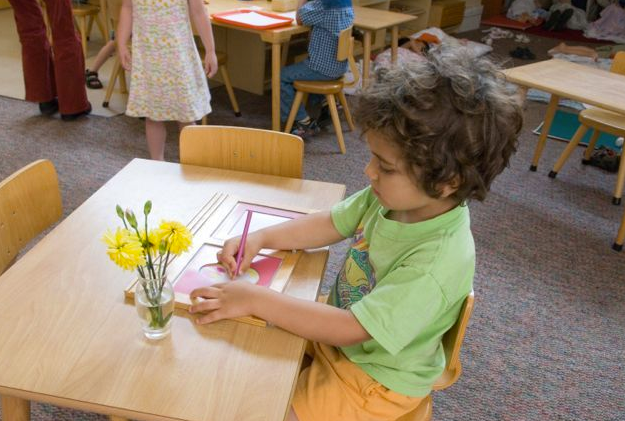 At the root of the anxiety many Montessorians feel in regards to the Common Core, is a fear that an educational approach continuously confirmed by modern science, may be forcibly diluted to more closely resemble traditional failed methodologies. 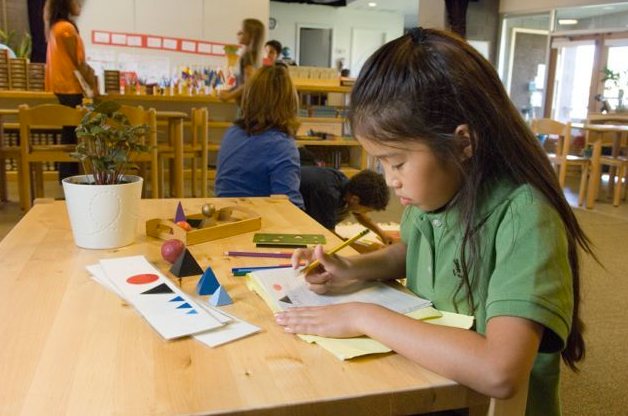 However, by applying a mindful, analytical approach to studying the correlation between Montessori and the Common Core, it becomes apparent that this apprehension may not be necessary. 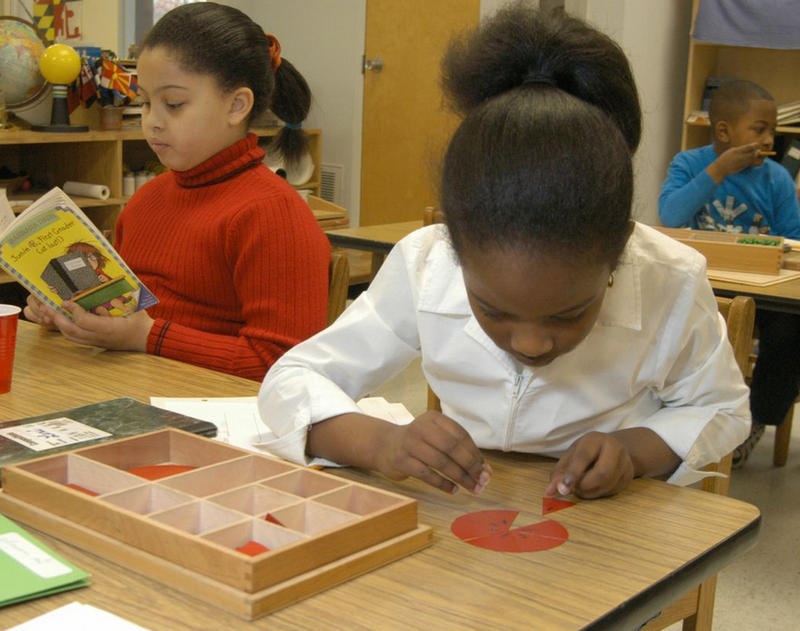 To the surprise of Montessorians everywhere, the Common Core may actually represent an unexpected opportunity for Montessori. 1. The Common Core State Standards define baseline expectations for each grade level in English Language Arts and Mathematics, for publicly-funded schools. 2. Forty-five states, the District of Columbia, four territories, and the Department of Defense Education Activity have adopted the Common Core State Standards. Alaska, Minnesota, Nebraska, Texas, and Virginia are the only states that have yet to adopt the Common Core. Click here to view the current map. Now that we have established in a very broad sense what CCSS “is” and who it presently “affects”, we can begin a meaningful analysis. The many factions involved in the education reform debate in the United States over the years have frequently become bogged down in heated disagreements over “What” and “When” to teach. For better or worse, the Common Core has defined a set of common learning goals for specific grade levels, effectively removing those topics from the table. Proponents of education reform can now move past “What” and “When” to teach and advance to “How” we should effectively teach students the multitude of skills they will need to be successful in the 21st century. For serious education reformers, the “How” question necessitates a closer examination of existing educational pedagogies. In this shifting landscape, the Common Core has created an opportunity for Montessori to truly shine and influence the education reform decisions that will impact our children for decades to come. Therefore, regardless of individual affiliations and nuanced classroom methods, the “How” question should unite and galvanize Montessori advocates from every corner of the country and around the globe. An intensive study of the Common Core, combined with a deep understanding of the Montessori philosophy, yields intriguing insights that even the biggest Common Core skeptic cannot ignore. Indeed, it appears that in developing research-based learning goals for Language and Mathematics aimed at achieving meaningful understanding of core concepts, the developers of the CCSS have caught on to aspects of what Dr. Maria Montessori discovered all those years ago! The crucial importance of the passage to abstraction for a solid foundation of understanding, combined with a spiral approach to topics in which concepts are revisited in increasingly greater depth, are vital components of a successful educational methodology. Sound familiar? The concept of providing a child with a deep understanding of concepts through experiences with concrete materials in place of superficial knowledge and rote memorization is a key tenet of the Montessori Method, and is achieved with beautifully designed materials found in Montessori classrooms around the world. Mapping a highly detailed and sophisticated alignment of the measurable learning objectives defined within the Montessori Scope & Sequence was both an exhaustive and delightful process. Time and time again, the Montessori approach not only met but oftentimes greatly exceeded the standards set forth by the Common Core. Below are multiple examples from the Mathematics alignments that highlight the complementary nature of the Common Core and the Montessori Mathematics materials. Indeed, there are situations in which it nearly seems as though the standard was written with the Montessori approach in mind! There are 19 defined measurable objectives in the Scope & Sequence that align with this standard. These measurable objectives are associated with materials such as the Ten Bead Bars and the Short Bead Stair, the Tens Board and the Golden Beads, the Addition Strip Board, the Addition Snake Game, and more. There are 25 defined measurable objectives in the Scope & Sequence that align to this standard! These measurable objectives are associated with materials such as the Red and Blue Number Rods, Spindle Box, Cards and Counters, Golden Beads, the Short Bead Stair, the Teen Board, the Tens Board, the Hundred Board and the Hundred Chain. 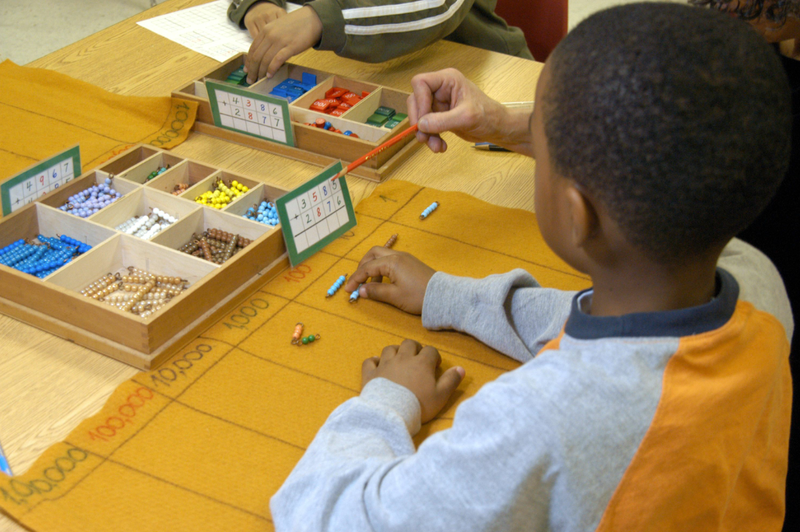 These traditional Montessori Math materials were designed to provide concrete experiences for students to connect counting with actual amounts. Describe measurable attributes of objects, such as length or weight. Describe several measurable attributes of a single object. (K.MD.A.1). There are 17 defined measurable objectives in the Scope & Sequence that align with this standard, 11 of which are related to Sensorial materials such as the Pink Tower, the Brown Stairs, Thermic Tablets, Baric Tablets, and more. The stated goals behind the Common Core’s English Language Arts Standards are also very much in line with the goals of a Montessori classroom. The Common Core gets very specific in providing goals for building the necessary skill sets for reading, writing, and speaking effectively from kindergarten through high school. And yet, as with Mathematics, time and time again, the standards are met or exceeded by the Montessori Scope & Sequence. This standard has eight measurable learning objectives from the Scope & Sequence aligned; four of these learning objectives are from the Practical Life curriculum. Two Grace & Courtesy sub-categories (General Language & Actions and Group Etiquette) address practical life skills related to communicating effectively and politely with others. The fact that the link between movement and understanding has always been reflected in the Montessori curriculum is highlighted as this standard has nearly a dozen measurable learning objectives from the Scope & Sequence aligned including Activity Word and Command Card activities. This Grade 1 standard has five measurable objectives from the Scope and Sequence aligned including activities such as the “Three Fundamental Tenses” from the History curriculum that is commonly presented at the Primary level. While the cynicism among Montessorians who have yet to thoroughly research the Common Core is fully understandable, ignoring or fearing this new reality is not going to make it go away. 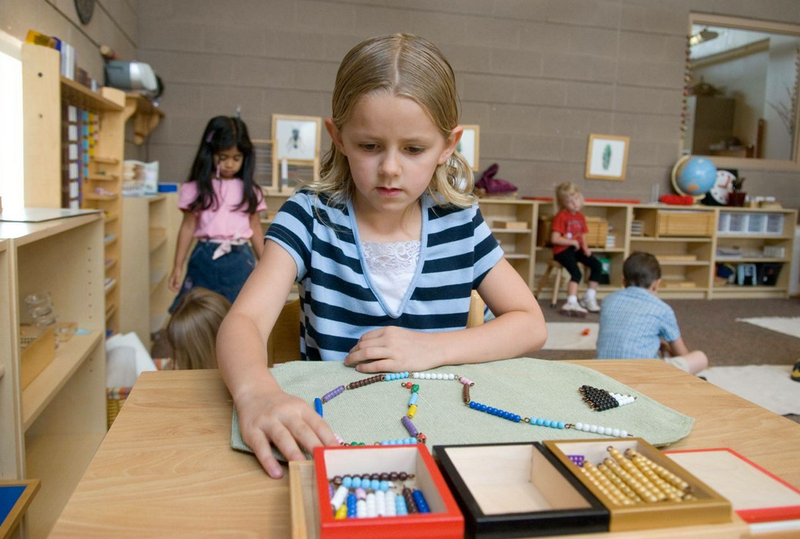 In fact, anything less than a pragmatic and collaborative approach to this issue from the Montessori community, runs the risk of missing out on a very unique, time-sensitive window of opportunity. A comprehensive Montessori Scope & Sequence that includes very specific measurable learning objectives aligned to the Common Core State Standards, can provide the missing piece of the puzzle that education reformers have been desperately seeking. The Common Core, for better or worse, has defined “What” and “When” to teach. 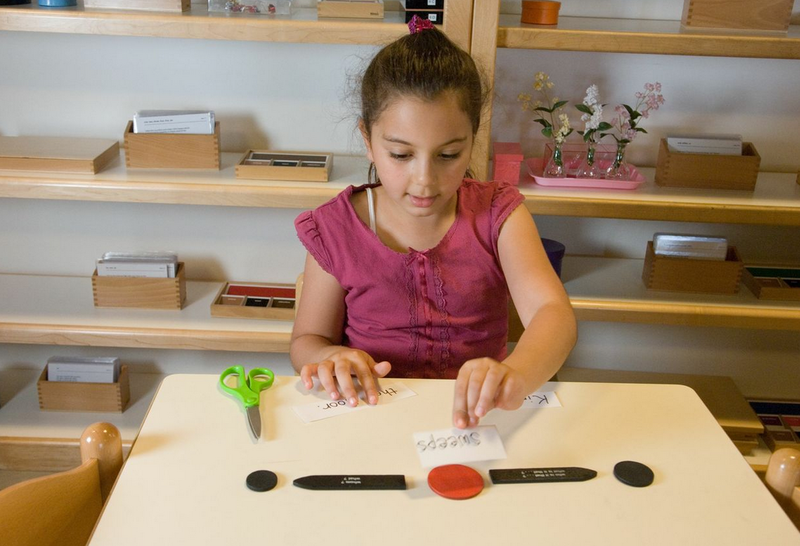 The Montessori Method is the answer to the final question of “How” to teach.